As per R.C No 35, The attention of all the RJDSEs and DEOs in the state is invited to the subject read above and they are requested to issue necessary instructions to the all Dy.E.Os/MEOs/Head Masters Under their jurisdiction duly communicating the following action plan/instructions for the ensuing SSC Examinations to be held in the month of March/April-2017. 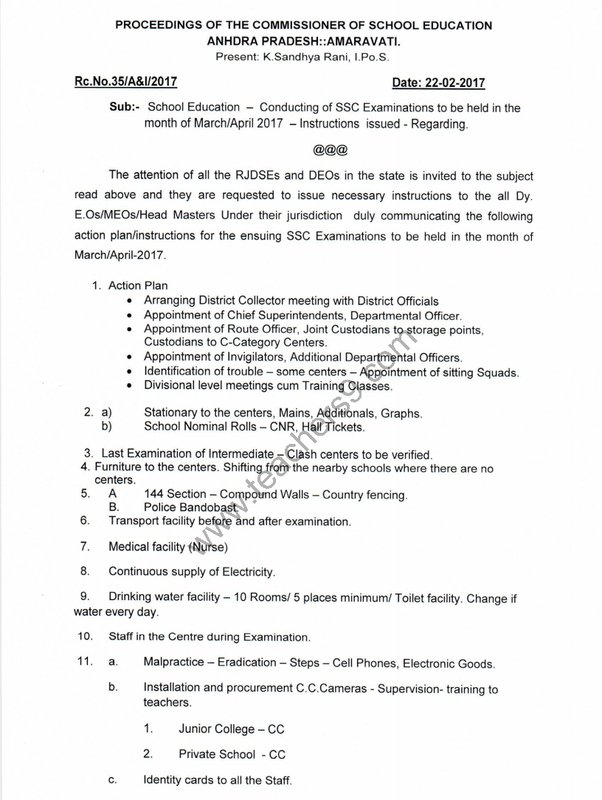 Further, they are informed that It should be ensured that the required facilities are provided to all SSC examination centers. At any cost no student should write SSC examination sitting on the floor and without proper amenities. 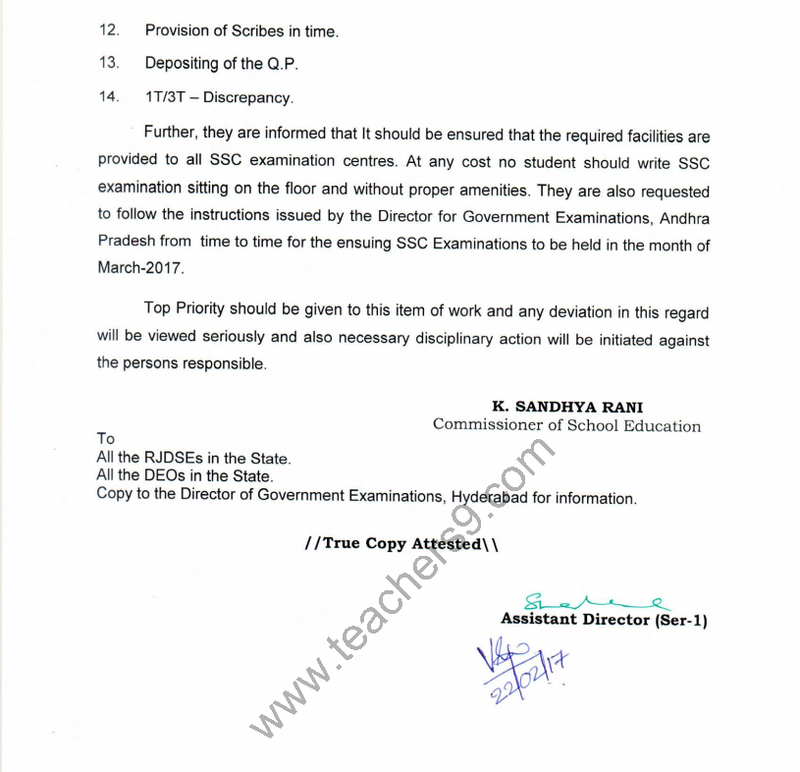 They are also requested to follow the instructions issued by the Director for Government Examinations, Andhra Pradesh from time to time for the ensuing SSC Examinations to be held in the month of March-2017. Top Priority should be given to this item of work and any deviation in this regard will be viewed seriously and also necessary disciplinary action will be initiated against the persons responsible.